The excellent map above, by John Fawkes, shows where the Highland Brigade was located in the Battle of Magersfontein. The Brigade, shown as five red rectangles, comprised the 2nd Battalion Seaforths, 2nd Battalion Black Watch, 1st Battalion HLI, 1st Battalion Gordons, 1st Battalion Argyle & Sutherland Highlanders. The Boers, opposing them, were entrenched behind what looked like walls of sandbags in a contemporary drawing. There was a zig-zag track up Magersfontein Hill where more Boers were located. They had the advantage of overlooking the Highland Brigade. Equiped with the excellent Mauser rifle, and being marksmen and trackers by nature, they caused considerable casualties in the Brigade. Furthermore, there were field guns on the hill behind the Boers. Pipe Major John MacLellan composed an excellent pipe tune called 'The Highland Brigade at Magersfontein' - click to hear it. Recording made at Cameron Barracks, Inverness - how appropriate. It is helpful to understand the complexities that led up to these Boer Wars as they are known in Britain. The Dutch, and others, call them '.. Freedom Wars', and to the South Africans they are the 'Wars of Independence'. It all began in 1647 when the Dutch East India Company ship Nieuwe Haarlem was shipwrecked off the Cape. The crew built a settlement and it developed. There were skirmishes of various kinds up to 1814 when the British purchased what became the Cape Colony for £5,000,000 sterling as a means of ensuring passage of trade to India and the Far East; and the rest is history, as they say. The Boers (Dutch for 'farmer') did not take kindly to British rule, because this degraded their citizenship, interfered with freedom of worship, and included an Emancipation Act giving slaves their freedom. Two large groups of about 10,000 Boers departed and trekked north and west setting up the Transvaal and the Orange Free State Republics. In 1877, the British annexed the Transvaal causing a rebellion alternately known as the First Boer War. THe Second Boer War had the air of 'unfinished business' about it. The first strike was an incompetent attempted coup known as the Jameson Raid. Another considerable influence on British interests in the area was the discovery of massive deposits of gold and diamonds in Transvaal over which the British had no control. Also relevant was the drive to unite the provinces of South Africa as another jewel of Empire. Also called the Transvaal Rebellion, it seems to have been something of a disaster. There were four battles, Bronkhorstpruit, Laing's Nek, Majuba Hill, Schuinshoogte and the Sieges of Lydenburgh and Rustenburg. All were relatively small scale in terms of numbers of troops but not of the same scale in casualties. Furthermore, all were Boer victories. An example, almost 'comic book' in nature, can be shown by a brief description of the Bronkhorstpruit which hardly deserves the dignity of being called a battle. The story goes thus. A small party of about 250 soldiers of the 58th Regiment were proceeding along a road. Some Boers stopped them, saying, "Red soldiers - would you please turn back!" Their Commander, Lt Col Anstruther replied, "No, we don't want to do that" whereupon the Boers opened fire from an ambush and killed half of them. The differences between this conflict, and the earlier one, are as between night and day. The 4 battles of one compare with 32 in this later one. Operations in the first one involved small numbers of troops where the highest was about 1200, but usually much less. In the later one it was thousands where it is said that the British force was about 500,000 against the Boer 88,000. This second one also gave us names which have become household such as Kitchener, Milner, Roberts, Churchill, Kipling, credited with popularising the Army figure 'Tommy'. His famous peom 'If' is said to be based on Jameson and Rhodes. Then there is Colonel Baden-Powell, an Army Commander at Mafeking, and later founder of the Scouting Movement. On the Boer side there was Botha, de Wet, de la Rey, Kruger, and Smuts. Place names too, such as the Relief of Mafeking and the Relief of Ladysmith, but there was a darker side as may be seen and read on the Internet on sites such as Wikipedia and others. A simplistic model of the Second Boer War can be regarded as comprising three phases. Phase One was won by the Boers. 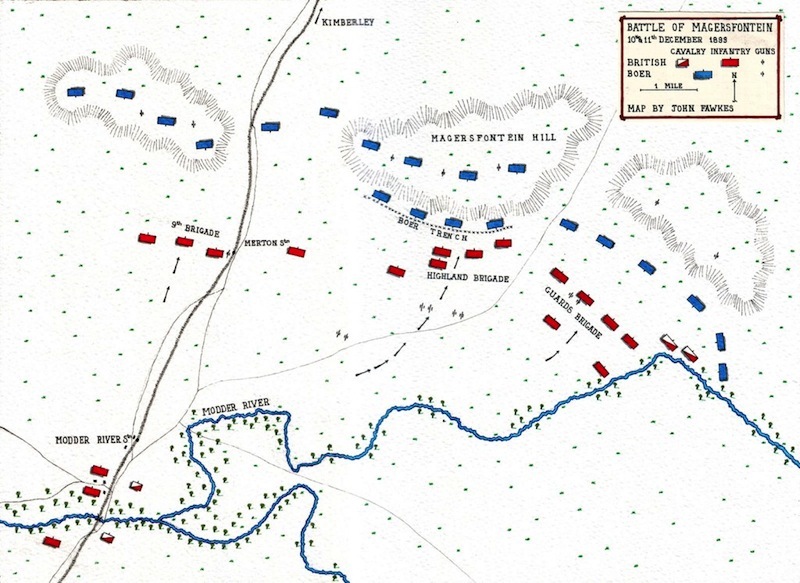 In Phase Two the British brought up overwhelming force and achieved victories of sorts. Phase Three degraded into a guerrila war which was terminated diplomatically at the 'negotiating table' where everyone more or less got what they were looking for in the first place.